Transitions in human behavior that are necessary for survival are the consequences of acculturation. This even takes place within missionary settings, where the original intent was “for the good” or betterment of people’s lives, but the outcomes weren’t always what missionaries had hoped for. There is perhaps no single group that can be blamed for these outcomes due to the attempts made to produce social change. There are biological reasons as well as sociological reasons for these problems. We often like to lay most of the blame on those the non-indigenous groups who were usually the richer of the two. But this wasn’t always the case, as demonstrated by the Iroquois sometimes overpowering the Algonkins, or the Sioux taking on the Pawnees further west. It is often the case that those who excel during a skirmish or battle do so because they were better endowed financially and more able to engage in these endeavors. In this case, involving the New York tribes, those who provided the most valuable products of nature to the Dutch received the benefits of having the best weaponry, such as a rifle or metal-bladed hatchet. For more peaceful matters like the missions, it was the missionaries that demonstrated this economic superiority to some extent, but they still had to overcome the powers of the trade relationships Indians had with the Dutch and English. 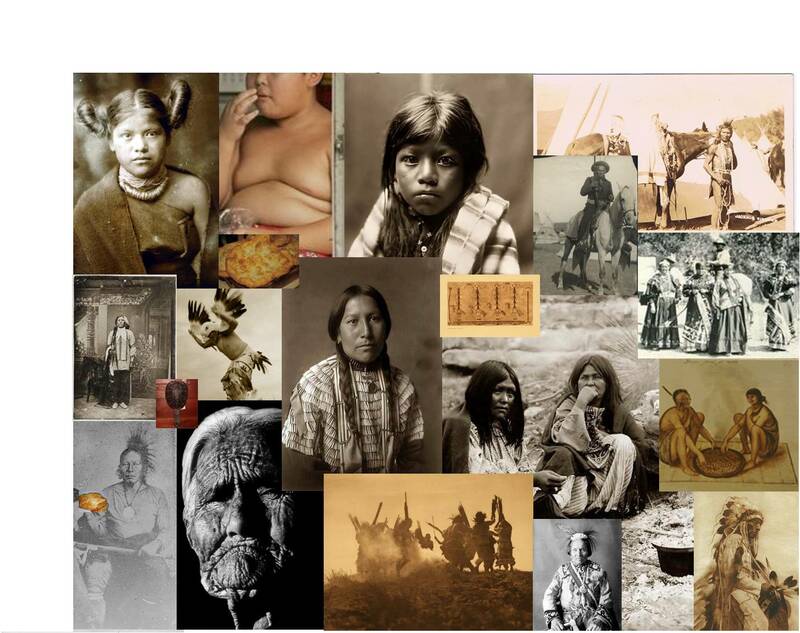 For this reason many people today try to blame, besides traders and entrepreneurs, the local missionary agents and the world missionary movement as a whole for the overall changes in American Indian culture that took place between 1650 and 1750. The following are the types of changes that Mahicans went through when they became Christian Indians during this time. To better understand Indian health, we have to begin with a review of their food related patterns. Foodways consist not only of dietary practices, but also the food attainment and preparation processes. To break down the food attainment process even further, there are certain lifestyles and traditions that are related to each and every item that is harvested from the Wild. In Native American tradition this has impacts upon the human respect for food sources, and in turn the overall respect given to the way in which the food is prepared, consumed and even celebrated. These activities in turn have their own impacts upon health and well being, both psychologically and socially as well as biologically and physiologically. If we were just to pursue the hidden stores about health status in general, without taking foodways and living patterns into consideration, we miss many of the most important details about health, illness and disease that impacted the Shekomeko mission during its initial years. This was the route one author took in reviewing the healh of the Moravian missions, for which medical informaion seemed to be scanty at times. Only one significant article was published in the medical journals about the Moravian missions in general with a review specifically on health, disease and medicine. From this work, we are provided with several important insights into the type of lifestyle the Mahicans experienced during these years, due to the ways in which diseases can be related to foodways. Two changes in behavior which the establishment of a missions resulted in include a modification in diet, and a reduction in time spent trying to obtain food stores. Some tribes had already adapted to a certain extent to certain behaviors related to farming, which requires a group remain in a single area for a considerable amount of time to grow and harvest the crops. This differed from the rather nomadic lifestyle that Mahicans had adjusted to during the centuries before, migrating up and down along streambanks, setting up camps upon the floodplains for a short while, until local food supplies were diminished or had migrated to new pastures. Whereas the initiation of farming practices might also mean that local streams and water bodies could become depleted of their native valuable foods, especially fish, there were other ways for accommodations to be made for a change in living and eating habits, turning the farm setting into the best choice. For a few years, only fish were the most threatened food source. But as years passed,in influx of immigrants was also making these valuable food sources less available to Native communities. In a review of Shad ecology and migration during the early to mid-19th century, legal proceedings were held by the State involving the old Dutch fishermen in the New York-New Jersey estuarine river settings. The court sessions revealed that the building of dams for industry and town use had greatly impacted the shad migration and gill-netting processes these old timers were dependent upon. According to their responses to the questions posed to them, this problem commenced during the early 1800s, as soon as the first dams were built in sequence along the rivers. Due to the placement of the Mahican settlements along the various shad and trout streams, their participation in such annual events as the fish migration were no longer possible to engage in at any ongoing sustainable level. 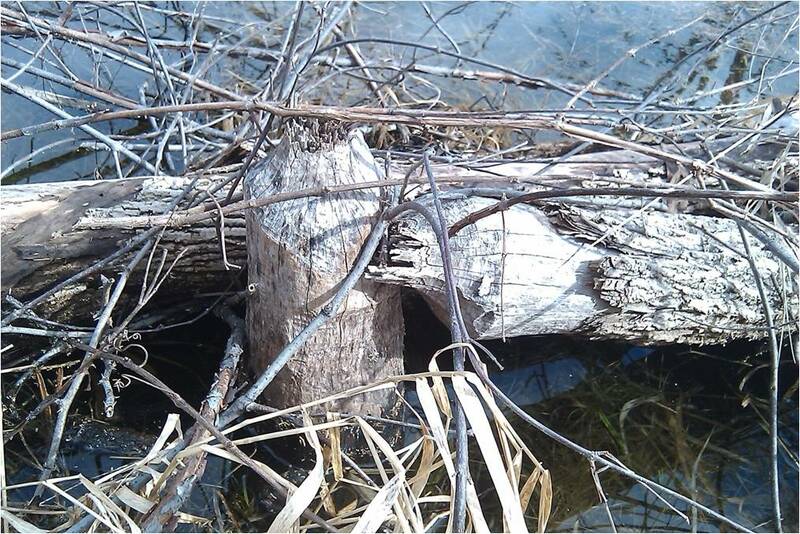 This forced them to rely more upon small stream and lake fish to survive, a lifestyle modified even more as claims for large farmland settings were filed. 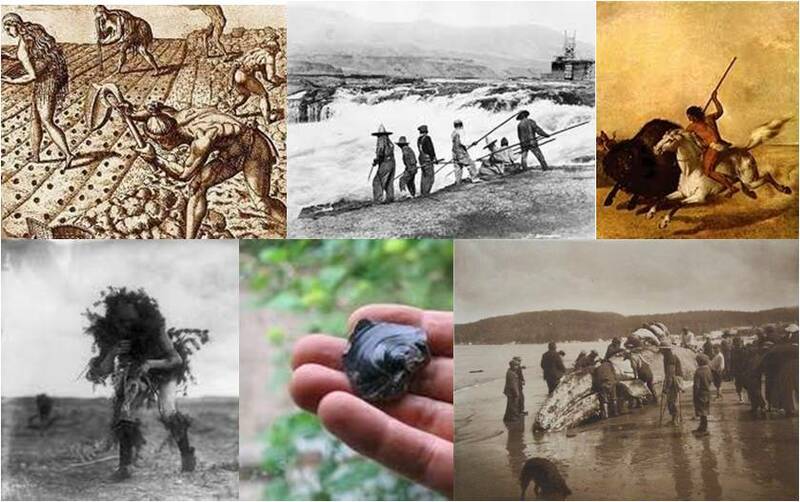 The hunting of animals like deer, elk and bear may have also changed in a similar way. Once Mahicans were more permanently settled in the Shekomeko area, their hunting range was also reduced, until it was completely replaced by livestock raising activities. The result of this cultural change was a transition to a more sedentary lifestyle. Once wild game no longer frequented the local forests, it became harder for Mahicans to obtain the kills they needed to feed their entire community. According to the tradition promoted by the missions, this too had its pastoral substitutes that could be utilized, such as home-raised poultry, pigs, goats and cattle. Imagine for a moment a turkey-grouse diet transitioning into a traditional farm-raised fowl and eggs diet, or the greasy venison and gamey woodchuck, beaver and fox diet changing into a lard-enriched bovine and porcine menu. The natural berry and fruit-enriched pemmican and edible dried foods they were once dependent upon became a diet consisting of starch and grain-enriched products, and a significantly more starchy cereal diet. Likewise, the Mahicans may have had to endure a change in food sources to match somewhat the foodways of their neighbors, the Iroquois, by initiating the planting of corn fields, squash and legumes now more aggressively than ever. This more sessile lifestyle would also place stresses on the immediately local wild starchroot sources, resulting in their reduction in availability followed by a transition to planting and harvesting root crops, mostly in the form of potatoes, turnips, radishes, beets, and carrots. 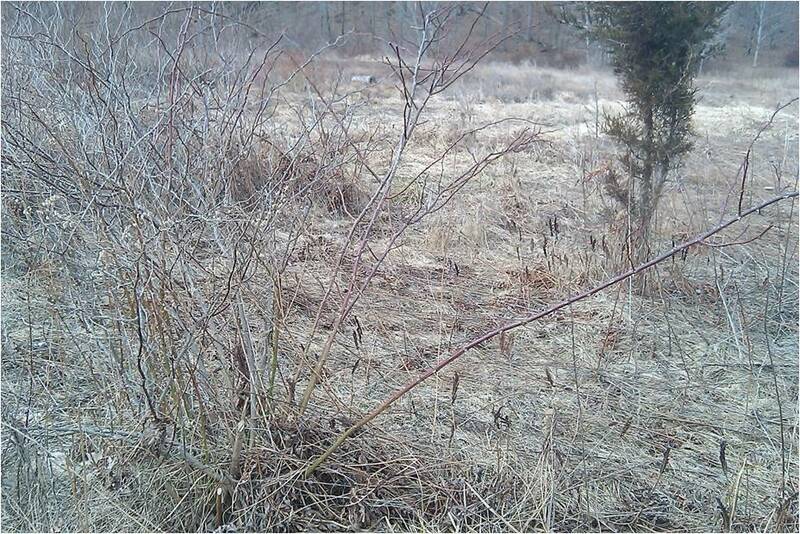 A reduction in hunting and fishing needs may also in turn reduce their use of local plant products for these skills as well, such as changes in the need for plant poisons in order to poison an arrowhead or the gathering of plants to make cordage and trapping devices. In a review of the anthropology of Canadian Indians well north of the Mahicans settlements, it was found that this transition in foodways had the ability to significantly modify nutrition uptake, especially during specific times of the year when lifestyle traditions required certain dietary patterns in order for the people and culture to persist. It was common for riparian or creekside residents to take advantage of fish and eels passing through nearby waterways. These two commodities provided the natives with large amounts of fish and animal oils, in particular the fairly healthy omega-3 fatty acids, and for eel oil, the even healthier gadoleic oils. Due to the nomadic behaviors of these east coast groups, their decision to move inland, away from windy coast and shorelines for the winter, these habitual seasonal changes made this dietary habit a necessity for overwintering. In much the same way, we can see evidence for Mahicans moving back and forth between the major inland estuary stems along the Hudson River and other large rivers and perimontane creekside settings like Shekomeko, or even the shores of the creeks in Wappingers, Rhinebeck, and Pine Plains. 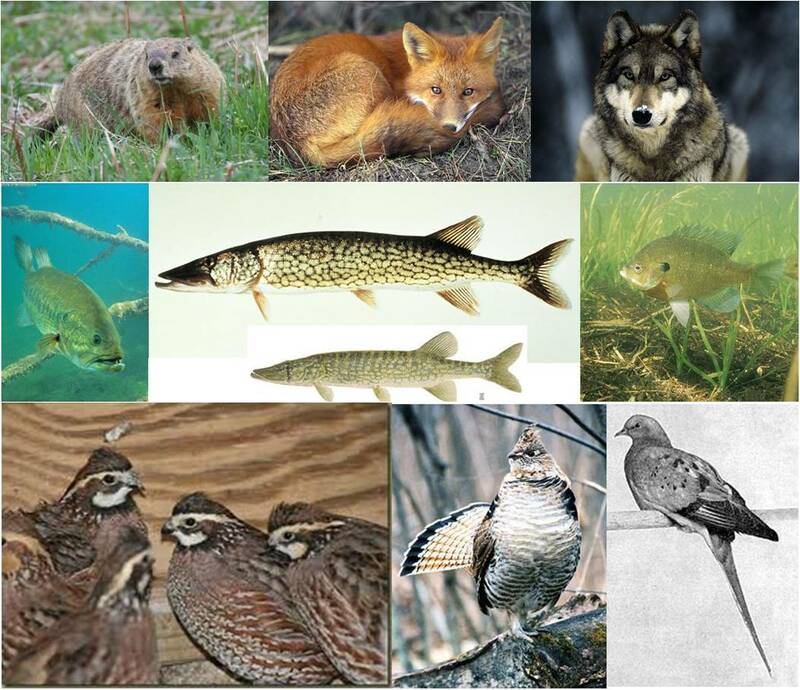 Each of these living habits had its own dietary pattern and its own survival requirements. Thee traditional eating patterns were changed permanently due to the late 18th century missionary movement. In the 1745 map of Shekomeko housed at the Moravian house in Bethlehem, Pennsylvania, the personal dwellings that are depicted are pretty much permanent. In terms of just how permanent these homesteads were could be disputed, most of them were barkhouses. Certain features of this village layout however inform us of just how permanent these places were meant to be. 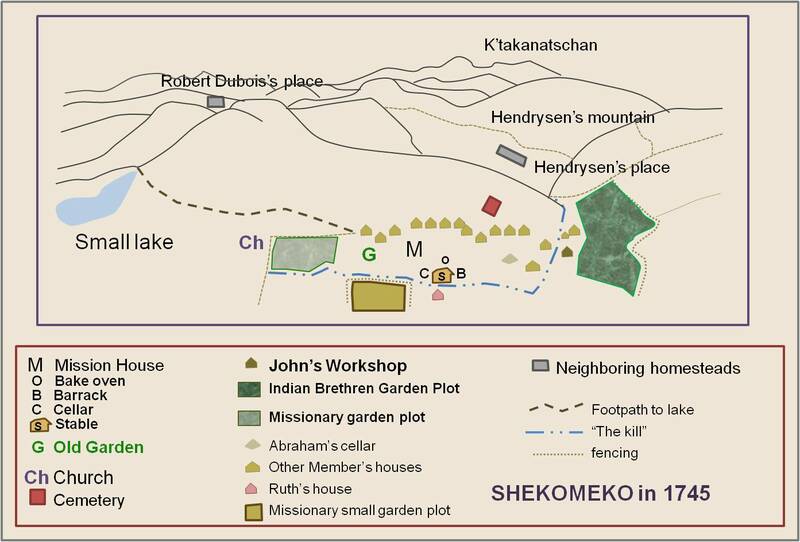 The following rendering of the above illustration was produced from the above Missions map of Shekomeko in order to make its content easier to understand. With this new rendering of the map we can see more clearly some of the traditional layout provided for this small community. We also see much more clearly the utility and at times the symbolism that was related to where some of these features were placed within the community by the Missionary leaders. The placement of such important features as the missionary quarters, the horse stall, hay and grains storage bin, and missionary’s “cellar” tell us the importance the missionaries placed on their work, and the acceptance of this by the Mahican Indians residing very nearby. More importantly, there are also some interesting adaptations that exist that are very indicative of the amount of acculturation taking place. There are three garden plot settings, one for the Mahicans, which appears to be the largest, and two for the Moravian missionaries. The church is at the end of the larger missionary garden plot, possibly an advantage to the missionaries should some of the plants grown be used to decorate the church for services. The content and use of “Ruth’s house” is uncertain–it could be a place with a symbolic Biblical name referring to its use primarily by Mahican women; it could also be a place symbolic of the purpose and meaning attached to the Biblical character ‘Ruth.’ The fact that ‘John’s Workshop’ also exists suggests “Ruth’s House” may have been intended just for the women in this village. According to some descriptions of religious services performed at the missions, missionary leaders had an outdoor field where its followers would collect in a traditional pastoral setting, a practice that would later become quite popular as the outdoor revivals took hold during the early 1800s. This location could be the open space adjacent to the Church, or the plot south of Ruth’s house, or both. Mahican homes were to the left, at the base of the hill. 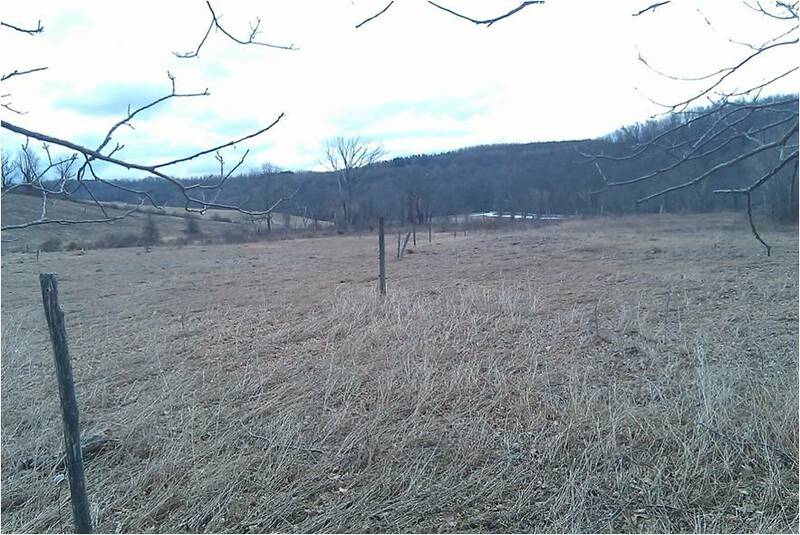 This is an eastward view from within the Missionary’s western field, just off the east side of the road; one is gazing through the Garden Plot in center, located about halfway down and to right of the fence; following the fenceline, we would be heading towards Brother John’s place at the far end (see north-south tree line in field, which border a beaver pond and stream); the barely visible field behind it with snow on its south edge was the Mahican’s corn field. The placement of the Mahican’s plot at the right end of this map has several important geographic features to note (compass direction for this map hasn’t actually been determined yet, K’takanatschan is the “large mountain” in Massachusetts). There are at least three buildings immediately adjacent to this plot of land, one occupied by Jacob, the other two constructed for John. Immediately across the way from these two buildings was the residence for Boaz. A little further away, we find Abraham with his “cellar”. 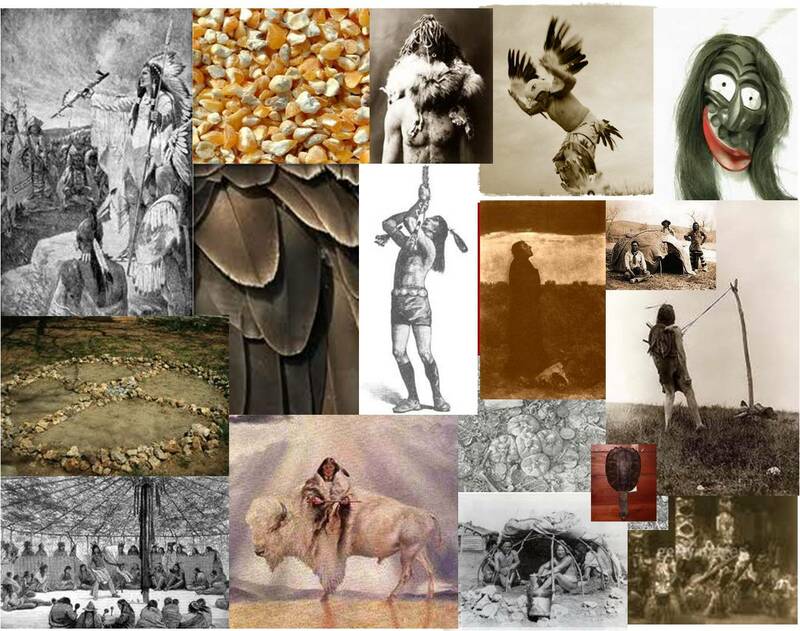 As will be discussed later, the symbolism of the placement of these individuals, revealed by their baptism names, is remarkable, and represents a transition from traditional Native American philosophy to a modified Mahican-Christian philosophy and symbolism. For the moment, suffice it to say that this clustering of these four members into this part of the village serves very much as an example of how the mission managed its leaders of the Native American community. John and Jacob were at the head, and Boaz and Abraham at the heart of this community. Adjacent to the Mahican garden plot are two shelters (John’s and Jacob’s) distinct from the rest–they appear to be on the opposite side of the stream (this still has to be site checked; the stream is there, the spatial placement needs confirmation). Adjacent to these, and fairly close to the “Indian brethren’s field” is a place referred to as “John’s Workshop”. This is Tschoop’s place for whatever activities or duties he was performing. The workshop could well be the meeting place for Mahicans and Tschoop, or John, before and after his conversion. Notice how in both the Medicine stick map and the Shekomeko missionary map there is a creek that flows between the main village or camp setting. (This stream is the line just north of the encircled 5-tipis, below the standalone tipi on the line that is the stream). In the Iroquois medicine club/prayer stick map there is a tipi separated from a main encampment site where most of the members live (note the surrounding wall or boundary) , with 3 tipis lower down, perhaps stayed in by the tribal leaders. There is also a pair of totems one must pass through to enter this village setting. For the Mahican-Moravian Shekomeko map, there is again a creek placed between someone’s mainplace of stay, and the rest of the community. This implies that someone very important is residing across the creek, which one must pass through before visiting tha sacred place. These two shelters (Tschoop or John, and Jacob) are placed next to the garden, the community’s primary source of subsistence. This is not at all a totally unique geographical setting for a spiritual leader of an Indian group or clan to reside, in particular if this leader was also the community’s shaman and/or medicine man. One crossed a creek in order to be “cleansed” before meeting with the shaman elder . There is also a hint of St. John the Baptist’s activities related to this creek. Their own philosophy related to the use of a creek was maintained when the Moravian missionaries made use of it for their own philosophical undertakings–to baptize two children who were taken ill with small pox just before they died. For this reason, a full review of this map could help us better understand the exact relationships that existed between the tribal members scattered around the village and the remaining members of this community, including the missionaries. For the remaining “brethren” inhabiting the village, traveling from the right end of these dwellings towards the church, the following Baptismal names are noted: Peter, David, Joseph, Cornelius, Nicodemus, Solomon, Jonas, Susanna, Jephtha, Phillip, Isaac, Nathaniel. The loner house, situated well to the left of the church, was occupied by Zaccheus. More than likely, each of these names had symbolic meaning to the pastors. Therefore, to better understand the minister’s views and impressions about these individuals in their society, we need to review briefly these Old and New Testament characters (a more detailed rendering of which appears in a later section). Whatever the case, in terms of the domestic and community roles each of these family leaders played in Mahican society, significant detail was provided about such by the 1745 Shekomeko map. Still, this map has even more to tell us about the changes endured due to the missions, in terms of occupation. Once the Mahicans began to transition to a more ‘westernized’ village like living setting, and begin to grow their crops and edible meat sources in farm-like settings, their occupations underwent a significant transition into lifestyles that were more sedentary than before. These life styles lacked the high energy expenditures related to hunting and fishing, and reduced the dietary needs for freshly captured fish and eels. Now granted, such a change in dietary patterns did not occur overnight. It probably took one or two years, at most five years based on the missionary writings. 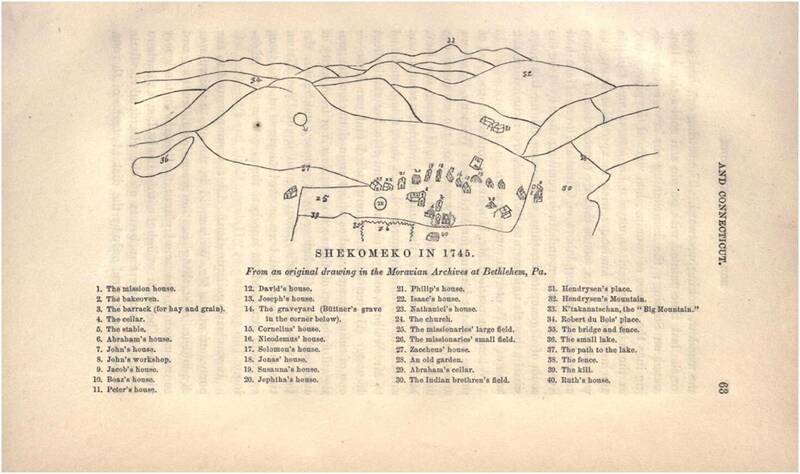 I say at most because the year of the black and white drawing of the Shekomeko settlement in 1745. Christian Rauch first came in contact with the Mahicans in August of 1740, just five years earlier. When we look at the legend of the map depicting this site, we see a “bakeoven.” Just what is a bakeoven? Answer: An oven used to make bricks. Evidently, the mission had become or was well on its way to becoming a permanent settlement, turning past hunters into herdsmen and farmers, and past carvers and wood-cutters into bricklayers. This would be the first time such a lifestyle had become an integral part of the Mahican way and tradition. 1745. It took just five years to convert the Shekomeko Indians completely to a lifestyle more resembling one of a western European society and Christianity. Along with this more sedentary lifestyle change came other new occupations, many symbolic of the pastoral setting that had been developed. Day-to-day occupations may have remained pretty much intact when it came to women gathering crops and making clothing. But the products they used were different. For crops it was the domestic fruits and grains in place of their wild varieties. 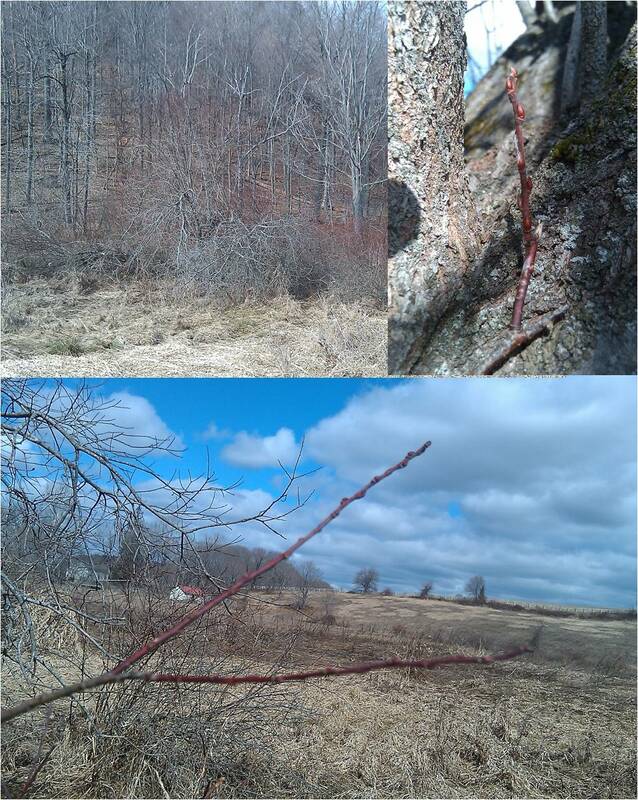 Based on recent visits to this site (pictures to be posted on another page), I was able to see evidence for all of this develop still present in the local fields to this day. The Original Apple Tree? This view is from a spot very close to where the stable once stood. The central garden [G in the map above] would have been in the fork of the branch, with 5 or 6 houses that would have been visible directly behind it at the base of the hill, extending to the right edge of this picture. The barely visible home on the far left side is the original homestead; the white building with salmon roof is a recent addition used to store hay and tools. The stream and Joseph’s buildings are to the far right by about 90 degrees, out of the range for this photo. There is a domestic apple tree that is very old located in the center of this field. It is just south of where the old circular garden was planted and was still present when the Moravians visited this site in 1859 to celebrate its century mark. Around the field and along its edge by the woods on the south side we can also find numerous raspberry and blackberry bushes, and most importantly, domestic rose bushes, large thorns and all, scattered along the eastern edge of the field, next to the old garden plot, and again along the south edge of the field, positions where a dirt road entrance once existed for this small village. There is this hump in the center of the field where the old centralized garden used to be. Scattered all about the area are a number of introduced plants descended from the Moravian garden, including peppermint (Mentha piperita), but especially motherwort (Leonurus cardiaca). Various mustards, clovers, and other small common weeds could have come in by normal spreading mechanisms. But some of the remaining layout of this site is obviously domestic in origin. Based on the size of the trunk on the apple tree, it could even be sprouting from the roots of the original trees the missionaries planted. Another series of changes in living practices that occured in the Shekomeko village pertained to clothing use and production. These changes would have related to a change from handwoven rush, cattail leaf and reed fabrics along with beaver pelt and deer skin products to the use of wool and flax derived fabrics, and later cattle-derived leather goods. As for the men and their day-to-day activities, the conversion of day-to-day events perhaps seemed a little more belittling or disenchanting than expected at first. Instead of engaging in regular elk and deer hunts, they had to tend to hogs, sheep and cattle, and then came the need to produce food for these animals such like grains and fodder, products of the garden, not the nearby untamed woodlands. There were other occupations that the men had to attend to. The presence of a bakeoven (also known as brickoven) means that structures were being built. These structures required the skills of carpentry, brick-making and brick-laying, and the ability to produce common furniture items such as tables and chairs, commodities other than simple baskets and cords. A number of traditional Indian “occupations” probably remained for a while, until either the local resources these activities were geared towards dwindled or for some other reason the men were forced to keep away from the woodlands. It is safe to conclude that the killing of wild fowl was probably still practiced, and even killing an occasional deer or two, especially for the Christian holy days held whenever the Mahican culture had its own festival that matched that same holy day. The use of traps for catching fish and small animals would have become less common, due to the long excursions typically lasting one or more days than required for this activity. The production of animal hide-based clothing may have become more a luxury than a tradition. The regular practices of dancing and singing around large fires would be converted to prayer related celebrations and Christian hymns, meaning that someone would have to become a teacher of these practices and someone else a servant to the ministers and the new chapel. Occupational change may have resulted in some counseling emergencies on behalf of the missionary agents. It is possible some who were less convinced, would at times think improper things about the fate of these religious leaders, a behavior that even Tschoop admitted to practicing at times. At the expense of avoiding the need to migrate to and from productive lands in need of periodic breaks, the Mahican setting had become a fixed place where, as the natural products of the woods dwindled away, so too did their traditional wildcrafting methods. This they had to accept in exchange for taking on a pastoral way of life more and more as the years progressed. But these changes only took five years to develop. Were these changes permanent? The experiences the missions had with other European pioneers encroaching upon their space would ultimately turn this into some sort of social battle, between good and not so good. For the Shekomeko Indians this was a permanent change that was taking place, but only at a cost. Along with Christianity came the demise of the Indian concept of “Great Spirit” and the metaphysical roles of the shaman. At least this is what we learn when we read the journals and books published by the Jesuits of New France or the Catholics of New Spain. But when we look at the details behind the teachings of Moravianism to Mahicans, and learn about how the communal settings were established and then developed further, we have to wonder if there was something to Moravianism that only a certain type of Indian could understand. Such was the case for the Shekomeko mission. Evidence for this is again based on the map of Shekomeko drawn in 1745, right at the peak years of this settlement. On this map there are the three buildings, two of which are personal homesteads or shelters, positioned just in front of the “Indian brethren’s field.” One of these we know was occupied Tschoop or John. The other is linked to Jacob (the member of the tribe who walked alongside Tschoop when the two were approached for the first time by Christian Rauch). Since these two are situated across the Creek from the rest, they are probably the elders, one a medicine man and chieftain or sachem, the other a medicine man and shaman. Either of these two were in the perfect place to rise with the day’s sun and to bless both the tribe and their field of farmed crops. There are a number of items situated around these two houses, but little can be told as to exactly what they were. An interesting thing about the psychology of missionaries is how they make use of symbolism when selecting a baptismal name. In the case of the conversion of Mahicans to Christianity, this behavior tells us much about the individuals undergoing this “sacred practice”. The two people situated next to the brethren’s garden are John and Jacob. Depending on how you look at this, these names either provide us with hints as to how the missionaries reviewed the roles of these two members, or thy reveal to us just who is the medicine man chieftain and who is the shaman of the Shekomeko Mahicans. It ends up that John and Jacob are important leaders for these people in the strictest sense, but one playing his role in a way different from the other. According to the biographies of John and Jacob as told by the New and Old Testament. John or Tschoop is John the Apostle. Jacob is the Jacob who is in special communication with God, the third name in the Old Testament to bear such as privilege. Just across the creek from John and Jacob is Boaz. Boaz wished to be with Ruth, but was more important serving as one of the two columns of “Solomon’s temple”, to the missionaries his name and location symbolized his important role in supporting the two spiritual leaders of this community. This use of Biblical names for baptism tells us more about the past perhaps than the writings themselves. On the pillar that once stood within the local cemetery, there are the names Daniel and Lazara, both very young children when they died. Daniel, whose life is most famously symbolized by his encounter with lions, may have been so named due to his struggles in life, and Lazara, a young female child, assumed dead soon after birth, only to rise again, before her second and final demise. Many more associations can perhaps be drawn between the baptismal name given to a tribal member, and the missionary leader’s experience with each of these individuals. One important aspect of religion in Native American settings is the use of the sweat lodge. Again, the evidence exists suggesting there was in fact at least one of these available for use by certain tribal or community members. One option for the miscellaneous items situated around the two leader’s homes is a small sweat lodge, or what is sometimes referred to as a stone cellar. The stone cellar formation is found in and about the Dutchess and Putnam county areas, and typically is a small collection of stones, many times with the appearance that there is a well-formed foundation to crawl into between the stone walls. In some cases these structures are completely above ground. Other times they are built into hill or a cliff face. Numerous theories have been given for the uses of these formation, logical reasons for their construction. In the Mahican settlement it is possible that these “cellars” served as places for one to undergo a personal spiritual experience, or perhaps a simple cleansing, like that done in a sweat lodge. We typically don’t expect to hear about the ability to practice the Native American ritual sweat lodge experience, but with Moravians by their side instead of other missionary leaders, perhaps the use of the sweat lodge or stone cellar was allowed. Evidence suggesting this was the case, although questionable due to its fairly late recollection, is the accounts of stone piles seen along some part of the Shekomeko setting, which a local boy said he thought was linked to the use of a sweat lodge. When we look at the map of Shekomeko, we also see another type of “cellar” related to Abraham, this cellar more likely was used in the traditional sense–as a storage place for foods and many of the important tools and supplies needed on and off. The same was true for the cellar located close to the horse barn and stable. Another interesting possible image related to this transitional period is the notion that the Mahicans may have at one point spent some time constructing their own rendering of the Cross of Jesus, or perhaps an image of Mother Mary, to replace the old Wolf, Fox, Beaver or Turtle that greeted everyone who walked into this community’s living space. No longer was there a fortress built to surround this hamlet, like the one raised by Iroquois along the Hudson River about 100 miles away. Transition is a fairly neutral way to refer to the acculturation and assimilation processes that are typically associated with these transitions engaged in by Native American groups. In the modern sense, acculturation is a process by which the people from one cultural setting, such as their traditional encampment, move or change their current village settings into a new set of living arrangments. Assimilation is a term that is also related to this process, but one which has a more lop-sided and pointed or sometimes accusatory meaning, referring to the process by which members of a group living in a different environment or cultural setting become part of a much larger community, adapting some of the traditional practices of that new community. In the first definition, you become used to your new environment, in the second definition you are required to adapt. Neither of these terms seem to fully define the process the Mahicans went through to become Christian Indians. The Moravian-Mahican experience is very different from similar processes designed to facilitate the incorporation of Native Americans into a much larger government or politically-managed community setting. Both sides appeared to want to engage in this process when it took place, a unique attribute for his mission when compared with other missions promulgated by other religious groups. The Moravian-Mahican experience was a joint effort, with a leader on each side working towards the same goal. The evidence for this claim appears in the recount 1859 explroation of this stie by the Moravian Historical Soc ietyvisiting Shekomeko, along with Lossing and others. If the young boy who took the Moravian Historial Society on their tour of this 100 year old settlement was right (could this have also been the remains of the root cellar? ), in identifying the stone pile as the leftovers of an old sweat house, the presence of a house for such a purpose in this village meant that the Mahicans could still engage in some of their traditional cultural ways. According to a review of the 70 plus volumes of New France writings and the Jesuit Missions published, this way of living that was not so popular within other missionary settings to the north. Likewise, the suffering experienced by the early and recent Moravian (and their brethren Bohemian) settlements in Europe, may have served as reminders to the missionaries about some of the underlying reasons for everything they witnessed taking place. The Moravian were more into the natural philosophy teachings and the Creator than their counterparts in other religious settings. Knowledge of this philosophical upbringing may have been one unexpressed reason why many of the local residing in the Hudson Valley did not want to see these Indians Christianized. To Methodists, more traditional Reformed Protestants, and even to William Penn’s Quakers according to a few writings, the Moravian missions were too much on the Native American side to be tolerated. By 1750, the Shekomeko Indians, now Christian Indians, no longer lived in the Hudson Valley. They first moved to Pennsylvania, only to end up in gaol [jail] to ensure their safety from mobs of threatening righteous “purist”. The Moravian Indians next made their war to the Far West in Pennsylvania, and finally ended up in Ohio. Along the way, some signs of continued conversion would re-appear, only to result in removal to yet another new location for a permanent settlement. Unfortunately, such a settlement never came to be. As for the Shekomeko, some parts of their transition to the new lifestyle seem too incredible, leaving us to wonder: Could such a change have really taken place with the Mahicans in just four or five years? If so, why? Under whose guidance and influence were these transitions taking place? What impacts did the subsequent lifestyle changes have on the Shekomeko Moravian Christian Indians? Psychological and mental health play an important role in overall health and longevity. The effectiveness of the Moravian missionaries in maintaining a certain amount psychological health in their followers was important to that group’s overall survival. Had life become seemingly worthless, aggravating, a sense of failure, hostile or even threatening to such an extent that the human survival mechanisms kicked in with the Mahicas, we might expect either a neighboring indigienous group or the Shekomeko Mahicans themselves to react to this threat to their lives and culture. It is a suprise even that this didn’t happen with the two or three other Mahican related groups located just east of Shekomeko in Connecticut. Tschoop’s return to these places on occasions somehow managed to keep the people at these other locations from becoming violent or threatening to the overall missionary goals. Either the indignous social network and system, and the faith in its own culture and chances for survival had disappeared, or it was changed to something more self-sustaining, involving hope and future plans on how to maintain your peoples’ cultural existence. This is exactly what was in the minds of Tschoop and others when they decided to retain the Christian-Indigenous lifestyle they were now living, and to move elsewhere to some place where they could continue their own utopian way of being. Physicall and spritiaully, and in the end physiologically and psychologically, the Shekomeko Indians became not only the first to be quickly christianized, but also the first to undergo a very rapid change in physical and psychological health related activities and behavior. In the end it was the violence of their neighbors in Ohio, following their removal to this new unexplored Northwest Territory that resulted in the extinction of this culture, not its epidemiological transition from living a life of self-sustaining wilderness habots to one that consisted of combined domastication farming and hunting practices. The transitions in community health that might have taken place had the Shekomeko continued to thrive and grow once they reached Ohio could very well be much like we see today with other Native American groups with assimilation and acculturation dominating their life history. With the exception of the family of Shekomeko Indians that remained alive and settled in New York, setting up a homestead at the northern end of Pine Plains on Old Turkey Farm Road, and one of the more important survivors of the Shekomeko mission Mannessah, no other Shekomekos survived into the 1830s and 1840s. The other “Last of the Mohegans” we hear about were extinguished due to peoples’ aggression and violence, not nature’s own natural selection processes that occur in the wilderness. This example of community health in transition was abruptly halted due to human behavior, attitude and prejudice, on both the indigenous (Ohio Native Americans) and the Euro-american sides. Both were brutal and effective in how they extinguished a culture foreign to their belief system, that of the just a few dozens families of Christian Indians. In spite of the tragic loss of the Christian Indians out west, and the loss of the few Mahican members trying to settle along Old Turkey Farm Road just outside Pine Plains, there is one more Mahican Indian full-blood whose life story has to be told. He is the reason Indian Medicine came to be in the local Valley and in the United States. A clue to this hangs along the Silverfarm road just north of the Columbia County line driving north. Mannessah is this one lone survivor in local Hudson Valley history who did provide us with important insights into the next stage in the transition of life from indigenous to “civilized.” He and his family became the first Christianized Indians to remain in the town of Gallatin, located at the Dutchess-Columbia Counties border. Mannessah’s life demonstrates how a single individual who has long been forgotten could impact a nation in his own unique way before 1800. Unfolding the meaning of his name–the “Prince” and “Quack”–given to him by early post-colonial settlers and doctors revealed a most interesting story behind his life. The results of my studies of this suggest he is the first “Indian doctor” for the region, one of several to many such individuals around the country who survived long after the forced removal and assimilation processes bestowed upon natives by the Federal government. He is the reason a new form of medicine known as “Indian root doctoring” was becoming so popular and ultimately so important. He is the only example we have of a full-blooded Indian interacting with society, government and people so as to make his name and mode of health care and medical practice well known. 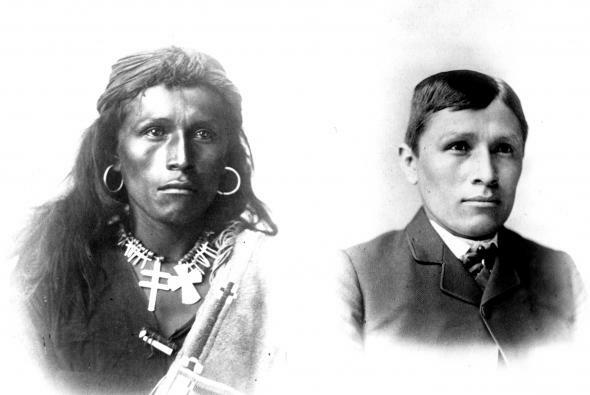 Mannessah’s life provides us with an example of how life can drastically change for a Native American, how laws can change, and how new rules and regulations can become the standards for how to live, but in spite of all of these, his life is an example of how personal philosophy and culturally defined belief systems fail to go away. Mannessah’s parents lived both lifestyles in Shekomeko, Mannessah was raised only as a Native American residing alongside others outcast from society (mostly the manumitted African American families of this area), and how in spite of such changes he survived, reawakened the local knowledge of his family’s elders’ heritage, and carved for himself his own place in this important piece of local history, until now nearly forgotten [for which see].